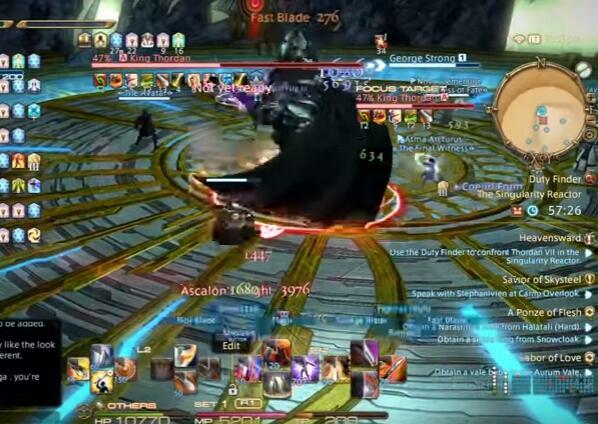 King Thordan is a boss in FFXIV Heavensward, and it is difficult to deal with. This is a guide to explain how to fight with King Thordan. King Thordan becomes available at level 60 as part of the "Thordan's Reign" quest, which is given by Alys - Mor Dhona - The Seventh Heaven. The primal has a minimum item level of 190 to enter and rewards you with 12 Tomestones of Lore and 25 Tomestones of Esoterics. As you can see, this boss is quite hard to deal with. I make a video for you to watch and explain the skills you should use and some tips for you! If you want to buy cheap FFXIV Gil, FFXIVGilBuy is your best choice with instant delivery!